Your home is made up of a complex combination of factors and systems that can affect energy efficiency, durability, occupant comfort, health and more. At BPP, our home efficiency services are designed to improve all aspects of your home with a holistic, integrated improvement plan. Building performance principles are based on a whole home approach to energy efficiency, comfort and safety. Your home’s “performance,” when poor, can lead to a home that’s uncomfortable, has high energy bills and is less healthy for your family. Rooted in science, building performance takes a holistic view of your entire home – including heating and cooling systems, occupants, appliances and more – when coming up with an improvement strategy. BPP takes a whole house approach when conducting an energy audit. We begin with visual inspections of the outside of the home’s perimeter, also called the “envelope.” Then we take our inspection indoors to look at attic insulation, visible ductwork, HVAC systems, windows and doors. Our focus when addressing building performance rests on the idea that homes should be safe, healthy, comfortable, durable and efficient. 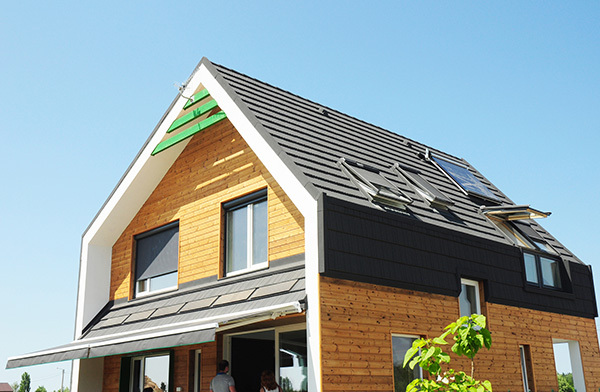 We believe that every home has the potential to be energy-efficient and comfortable – sometimes with only moderate modifications. As a U.S. Green Building Council LEED Approved Professional, we have developed highly efficient green buildings with rigorous efficiency requirements and low environmental impact. While completing these projects, we’ve been able to identify effective strategies and products –many of which are low-cost – to improve home performance on many levels. While many HVAC companies focus on the importance of energy efficiency, a poorly performing home can pose more problems than just high energy bills. As part of our home energy audit, BPP also tests and inspects your HVAC systems for safety. Another aspect to home performance is how inefficient systems impact durability. Leaky ductwork, for example, can make HVAC systems work harder, shortening their functional life. We have developed our home efficiency services with the help of rigorous training through the Building Performance Institute (BPI), the standard for the building performance industry. Our designation as a BPI Goldstar Contractor provides assurance that our team has extensive training in and understanding of building science, building envelope technology and multi-family analysis. We’ve taken that knowledge and actively applied it in our daily work to ensure that your home is comfortable and energy-efficient. We also understand the need to prioritize solutions for a healthy and safe home to get the most bang for your energy dollar. That’s why we’re well-versed in the financing and incentive programs available in our area. These programs offer competitive means for many families to make the home performance improvements they need. Our goal is to reduce out-of-pocket expenses for our customers. Curious How Your Home’s Performance Can Improve?